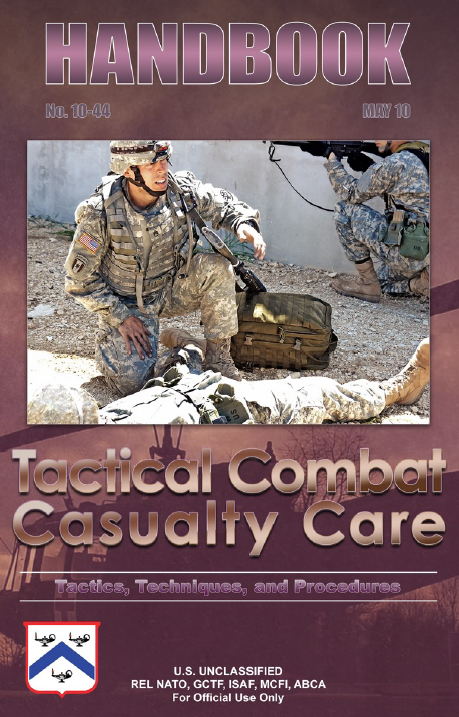 Tactical combat casualty care (TCCC) is the pre-hospital care rendered to a casualty in a tactical, combat environment. The principles of TCCC are fundamentally different from those of traditional civilian trauma care where most medical providers and medics train. 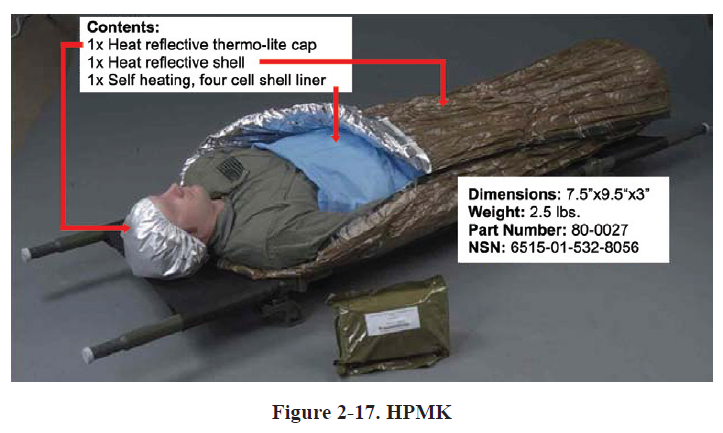 These differences are based on both the unique patterns and types of wounds that are suffered in combat and the tactical conditions medical personnel face in combat. 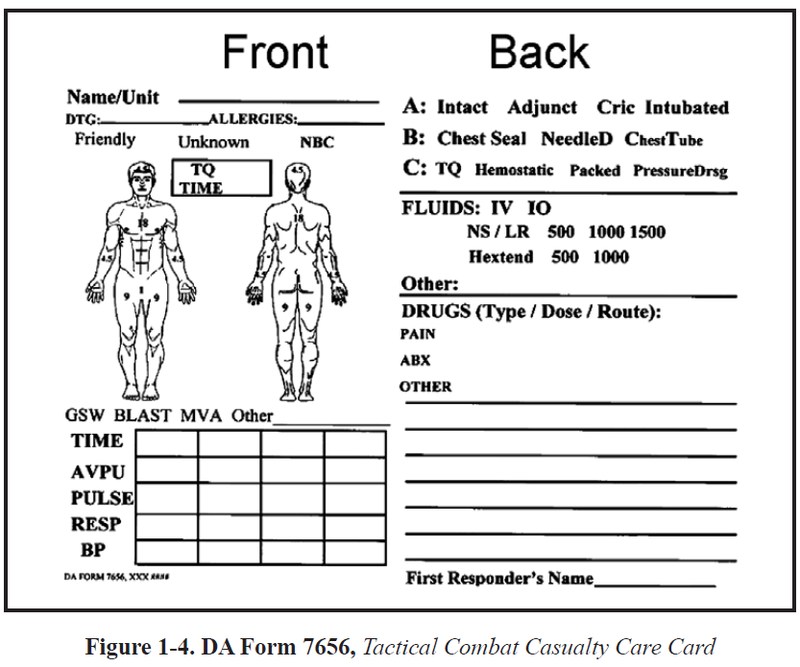 Unique combat wounds and tactical conditions make it difficult to determine which intervention to perform at what time. Besides addressing a casualty’s medical condition, responding medical personnel must also address the tactical situation faced while providing casualty care in combat. A medically correct intervention performed at the wrong time may lead to further casualties. Put another way, “good medicine may be bad tactics,” which can get the rescuer and casualty killed. To successfully navigate these issues, medical providers must have skills and training oriented to combat trauma care, as opposed to civilian trauma care. On the battlefield, the pre-hospital period is the most important time to care for any combat casualty. Up to 90 percent of combat deaths occur before a casualty reaches a medical treatment facility. This highlights the primary importance of treating battlefield casualties at the point of injury, prior to casualty evacuation (CASEVAC) and arrival at a treatment facility. A significant percentage of these deaths (highlighted above in bold type) are potentially avoidable with proper, timely intervention. Of these avoidable deaths, the vast majority are due to exsanguination and airway or breathing difficulties, conditions that can and should be addressed at the point of injury. It has been estimated that of all preventable deaths, 90 percent of them can be avoided with the simple application of a tourniquet for extremity hemorrhage, the rapid treatment of a PTX, and the establishment of a stable airway. • Casualties who will die, regardless of receiving any medical aid. • Casualties who will live, regardless of receiving any medical aid. • Casualties who will die if they do not receive timely and appropriate medical aid. TCCC addresses the third category of casualties, those who require the most attention of the medical provider during combat.